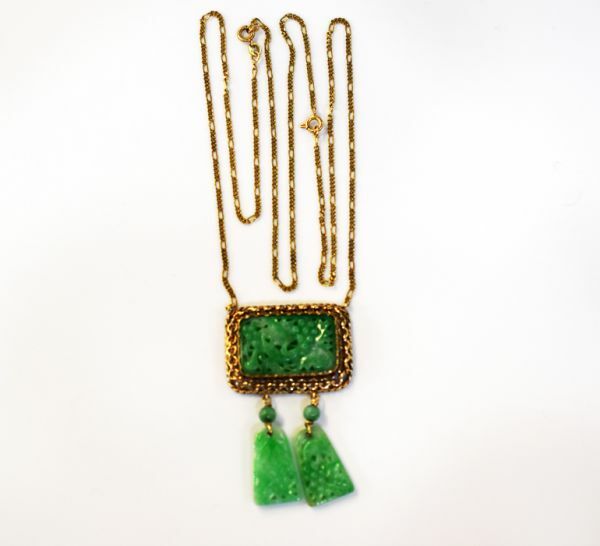 A beautiful 14kt yellow chain link and rope edged pendant featuring 1 medium green jadeite jade tablet (approx. 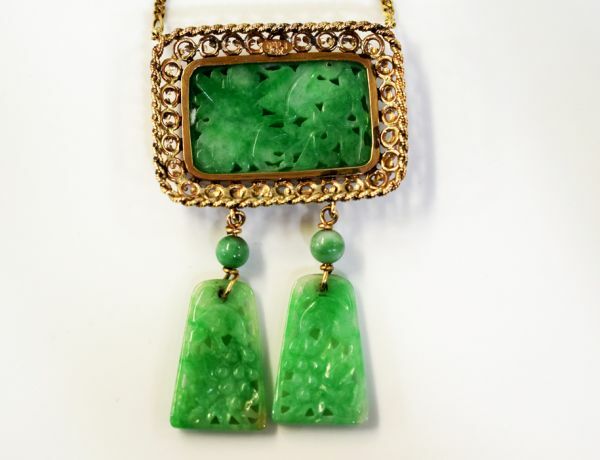 29x9x4.0mm) carved in a motif of a grape vine with bunches of grapes and leaves with 2 jadeite jade beads (approx. 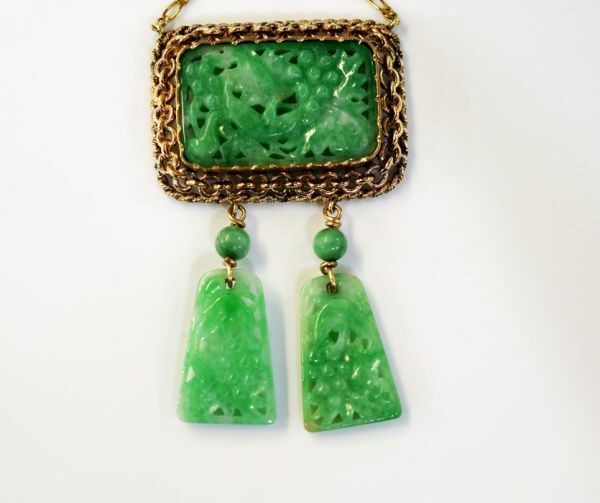 5.15-5.25mm) and 2 carved jadeite jade tablets (approx. 22x15/10mm). The pendant is affixed to a 14kt yellow gold figaro link neckchain, approx 20 inches (50.8cm) long and a 14kt yellow gold 2.0mm extension, approx. 10 inches (25.40cm) for added length.